I’m boxing up this painting that I’m so excited to ship off to California. I’m so thrilled that things are moving in the right direction with selling my artwork. My artwork isn’t flying off of the shelves but that is okay with me because I still work a full time job. I don’t think I would be able to keep up with both. However, upon looking at the boxed up painting I’m a little sad to see it go. It was a family favorite. We grew accustomed to walking by it in the entry way. We will miss it. I hope the new home will enjoy it as much as we did. Goodbye “Secrets of the Siren”. 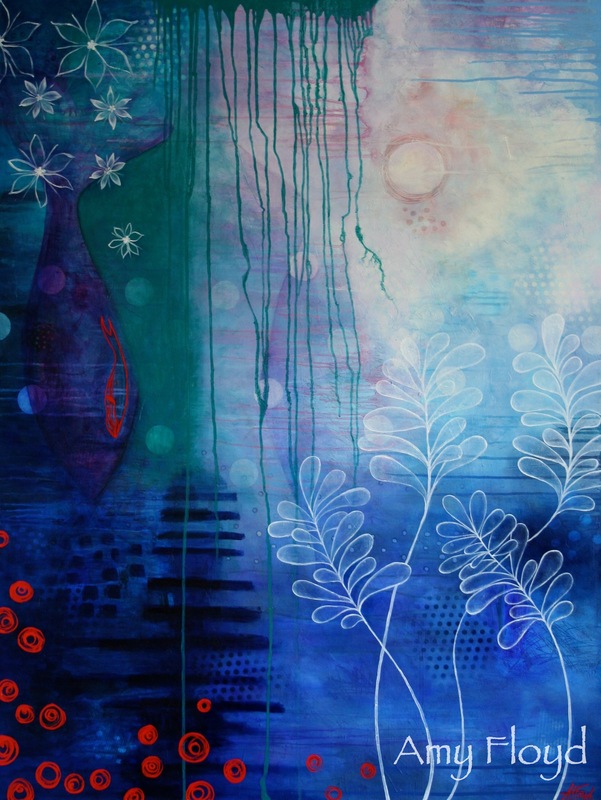 This entry was posted on September 24, 2015 at 7:37 pm and is filed under Paintings with tags abstract paintings, Amy Floyd, blue, Mermaids, ocean, ocean life, sea life, turquoise. You can follow any responses to this entry through the RSS 2.0 feed. You can leave a response, or trackback from your own site.